Buena Park Residents: We Specialize in Flooded Basement Cleanup and Restoration! The water damage seen here is coming from an overhead pipe that leaked into a basement. The bottom line: a flooded basement can jeopardize your health, safety, and your home’s integrity. It’s worth making a call to SERVPRO of Buena Park and let our trained, professional crews handle the situation safely and correctly. We have earned the trust of hundreds of homeowners, business owners, and property professionals. One of our technicians in this photo is remediating mold found due to a slab leak in a residential home. Our technicians are trained through the IICRC program which stands for Institute of Inspection Cleaning and Restoration Certification. You can rest assure that if you encounter mold, our highly trained technicians can make it like there was never any mold in your home! The water damage shown in this photo was the result of a broken supply line to a washing machine. Does Your Buena Park Home Have A Mold Problem? Mold spores found in a hall closet of a home as a result of water damage. Summer Season in California at risk for larger, aggressive fires. 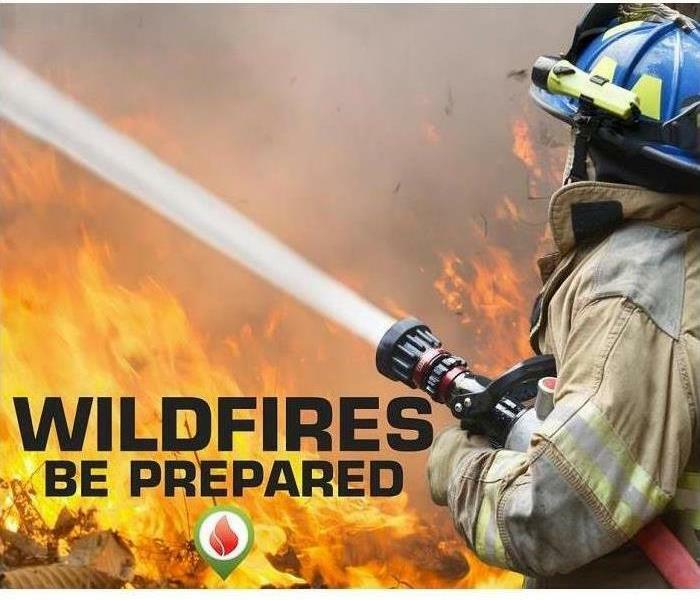 This summer season in California is at high risk for fires due to the vast amount of crops that grew during the record making rains this past winter. These crops wither rapidly during the summer and fall seasons which result in larger and more aggressive fires. 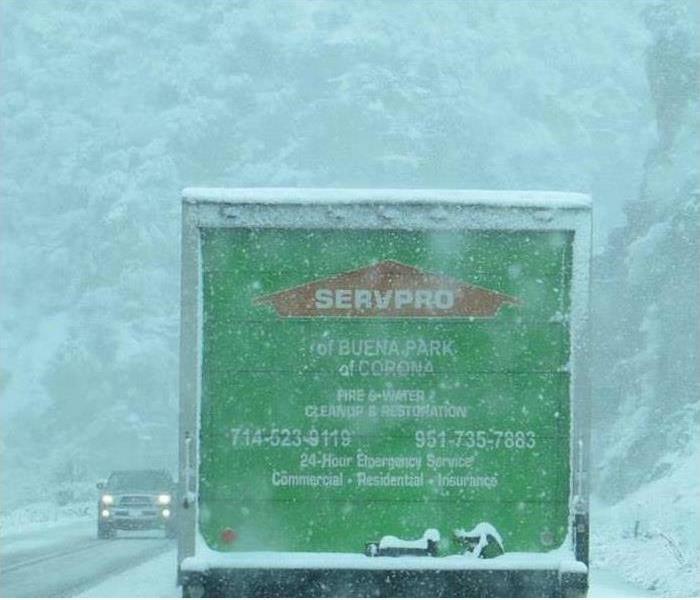 Southern California rarely experiences any harsh weather; however, when it does, you can count on SERVPRO of Buena Park to be ready! Southern California is luckily not famous for the harsh weather conditions compared to other states; however, there are times when heavy winds and rain occur. When this happens, you need a restoration company you can rely on to make the disaster "Like it Never Even Happened"
Storm and flood damage can be devastating. Immediate action is needed, and you need the company with storm damage experience. SERVPRO of Buena Park have the expertise and the resources to handle any size disaster and can respond immediately to storm and flooding conditions. Direct Communication with Insurance and Client on restoration progress. 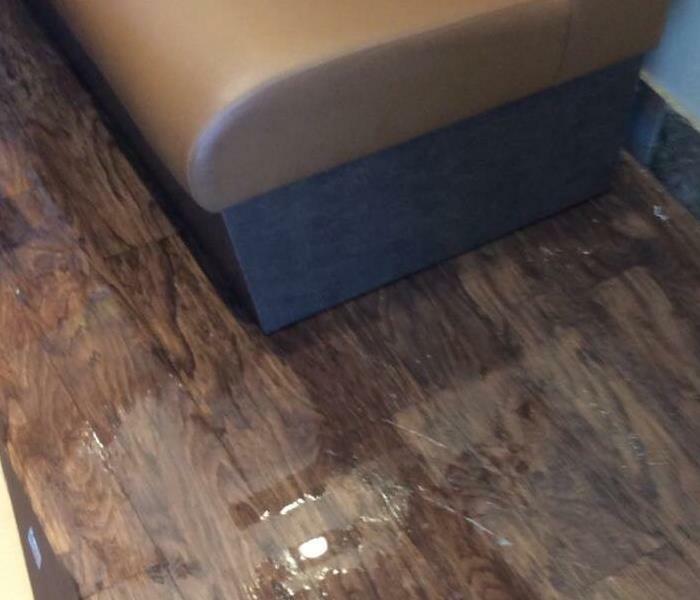 Flood inside the home as a result of a leak from water filtration system. We understand that when you call us, you may be feeling confused, stressed, and vulnerable. You need an expert to guide you through this crisis. SERVPRO of Buena Park has the specific water damage training and experience to help you through this tough time. We specialize in water damage restoration—in fact, it's the cornerstone of our business. 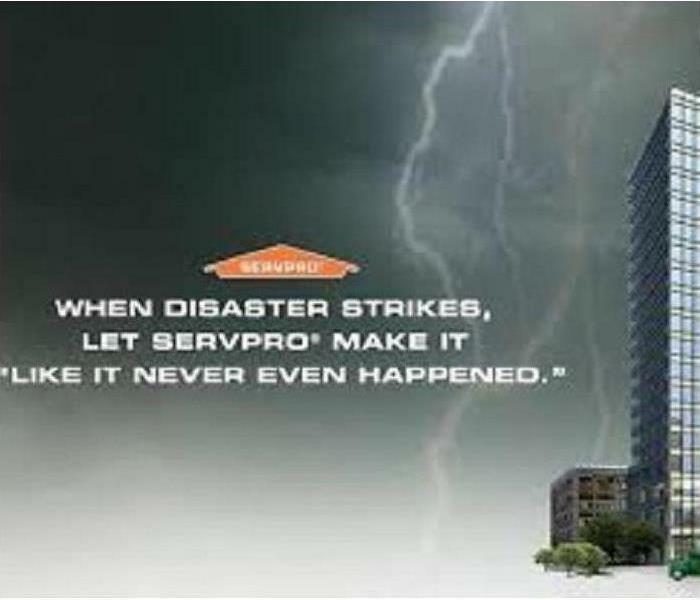 SERVPRO of Buena Park specializes in the cleanup and restoration of residential and commercial property after a fire, smoke or water damage event. Our staff is highly trained in property damage restoration. From initial and ongoing training at SERVPRO’s corporate training facility to regular IICRC-industry certification, rest assured our staff is equipped with the knowledge to restore your property. Shoe store sustains water damage from main water line located outside of the building. 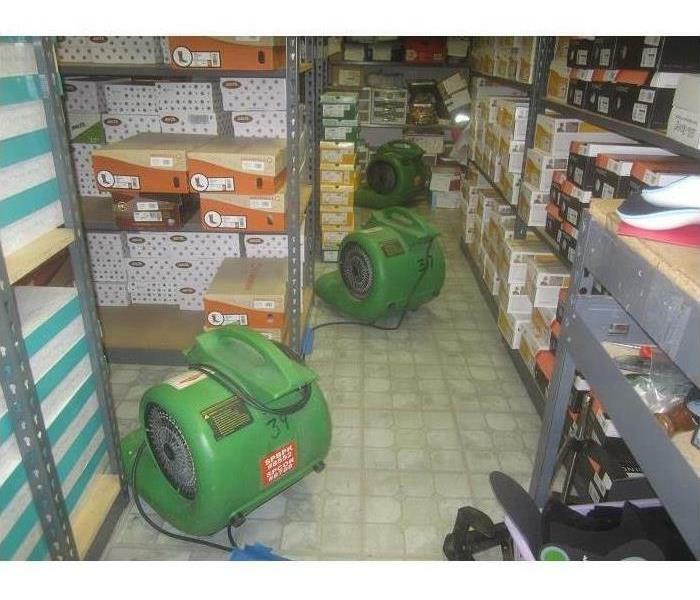 This commercial building is a shoe store that sustained water damage due to a main water line located outside of the building that burst and flooded the inside of the building. 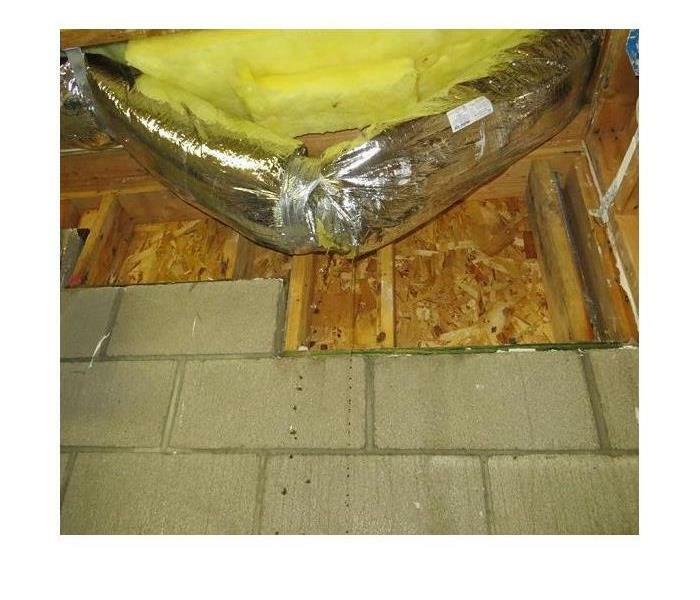 To minimize damages, SERVPRO of Buena Park arrived quickly to the loss site and began services almost immediately. Due to the amount of water, our technicians had to extract water from the floors using a water extractor. 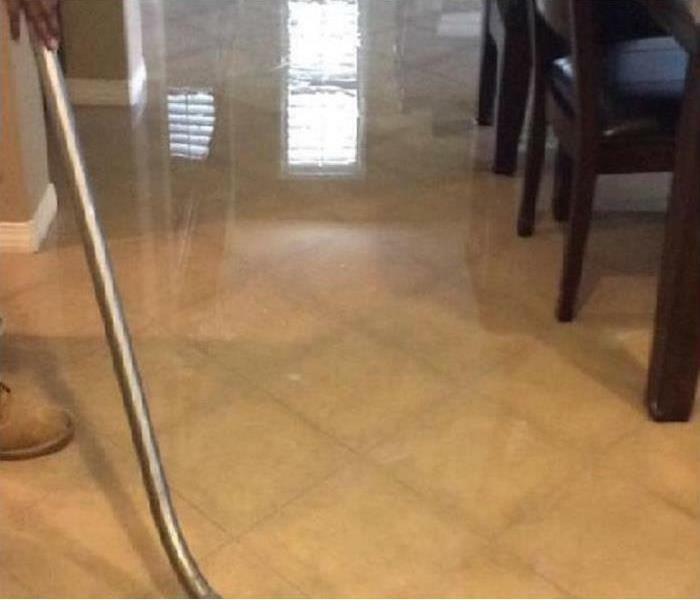 Even though the technicians were able to remove a lot of the standing water, the vinyl tiles had already begun to delaminate from the floor. Due to this, this type of flooring needed to be removed to dry the floor beneath. The owners of this shoe store were relieved we were able to salvage most of their inventory. 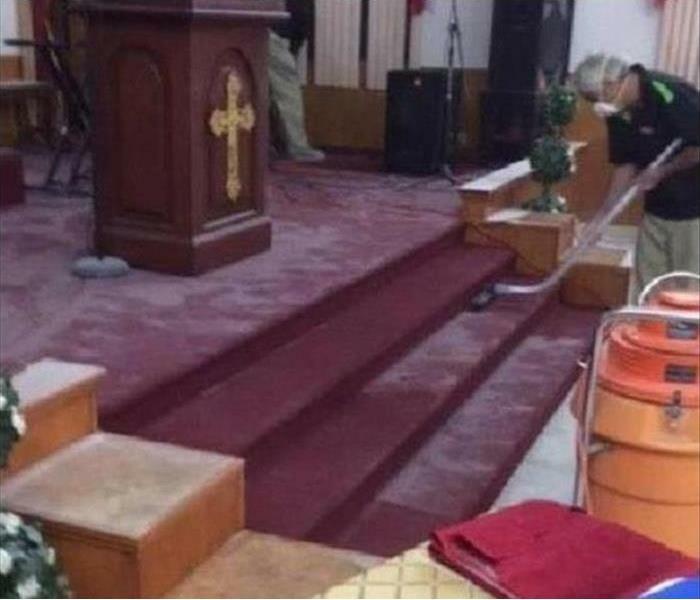 One of our SERVPRO of Buena Park techs cleaning extinguisher dust from an altar at a local church. SERVPRO of Buena Park not only provides fire and water damage restoration. Our services extend to vandalism clean ups as well. This unfortunate occurrence was due to vandalism. SERVPRO of Buena Park was contacted for the cleanup of extinguisher dust and other debris. Our technicians quickly started to HEPA vacuum all affected areas so that the dust would not penetrate further into furniture, walls, and floors. Negative air machines were then placed to improve the air quality inside the facility. In the end, it was like the vandalism "Never Even Happened". The Pastor of this Church was relieved we were able to clean up the Church quickly so that he may open his church once again. If your home or business has been vandalized and proper cleanup is needed, you can count on SERVPRO of Buena Park. 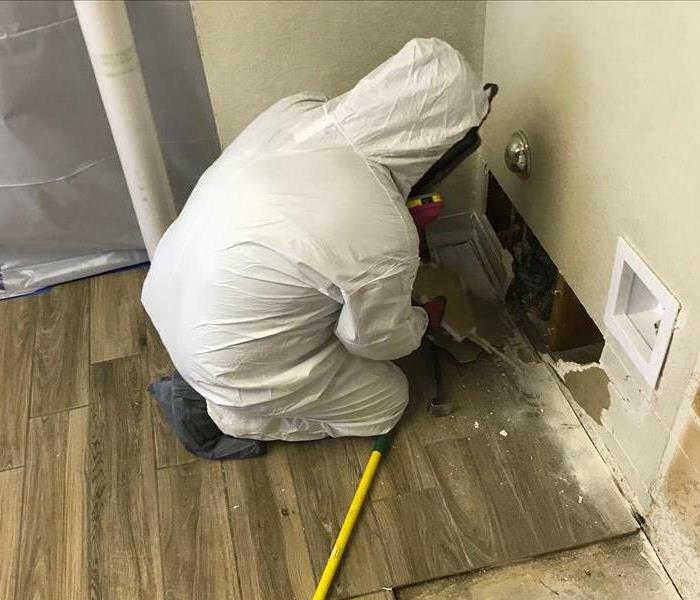 8/22/2018 - Buena Park Residents: We Specialize in Flooded Basement Cleanup and Restoration! 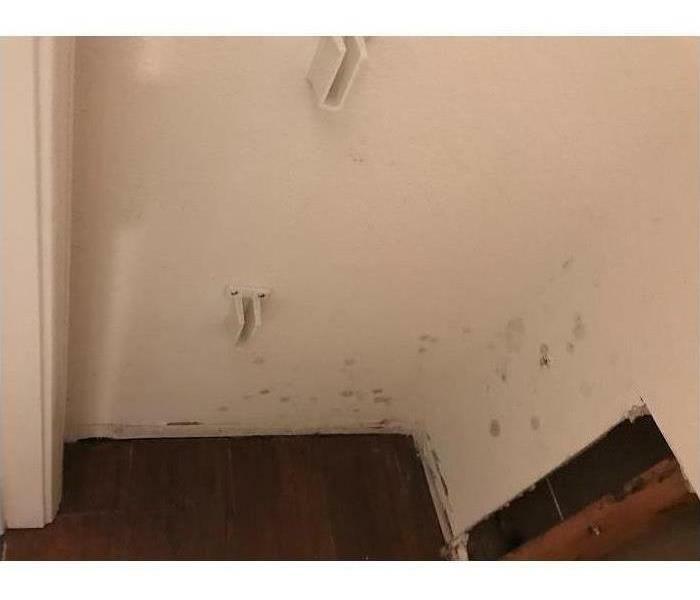 7/16/2018 - Does Your Buena Park Home Have A Mold Problem?